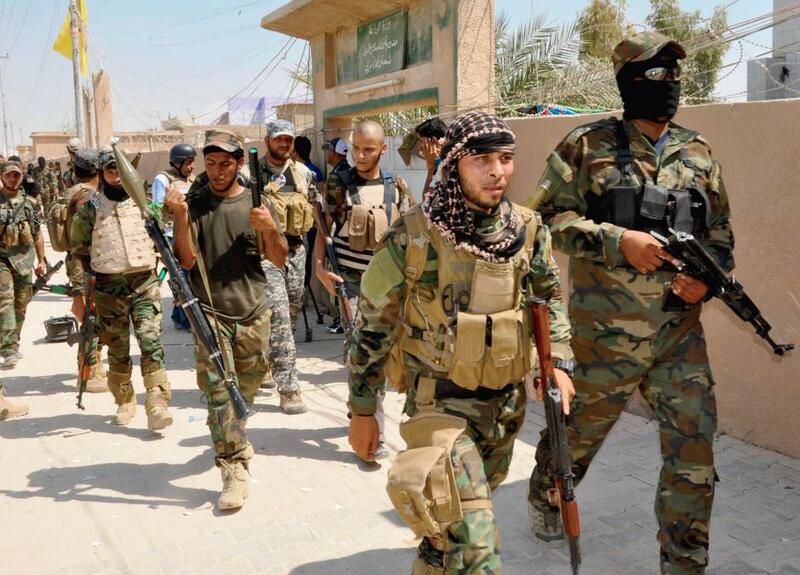 The new Iraqi state established in 2003-05 with the help of the US administration has now split into three enclaves (Shia Arabs, Sunni Arabs and Kurds), and failed to resist the invasion of radical Islamist groups in the western and north-western regions of the country. 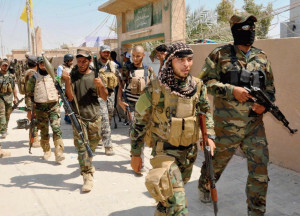 Moreover, in the summer of 2014 much of the Arab-Sunni provinces of Iraq rebelled against the central government and supported the so-called “Islamic caliphate”. The roots and causes of the collapse of this practically failed state, lie back in distant 1921, when the United Kingdom mandated by the League of Nations created Iraq on the ruins of the Ottoman Empire. Three, Ottoman provinces (Basra, Baghdad and Mosul), previously independent of each other, were forcibly and artificially conflated into Iraq. The first decades of this country were characterized by the dominance of Sunni Arabs, since it was them who the British administration relied on in their policies. Naturally, the interests of the Shiite Arabs, Kurds and other ethnic and religious minorities were ignored by Baghdad in every way, and during the rule of the Baath regime large-scale punitive and military operations with elements of genocide (the use of chemical weapons in Halabdzha, 1988) were carried out against them. The overthrow of Saddam Hussein in 2003 gave some hope for the equalization of rights among all the groups of the Iraqi population, but this period was short-lived. Even during the country’s occupation by US troops and their allies (2003-2011) representatives of the Arab-Shiite majority in power launched an extensive purge of Sunni Arabs. The formal pretext for these actions was the widely publicized ‘De-Baathing’ campaign within the country, when first it was supporters of Saddam Hussein who were subjected to repression, then the Baath Party functionaries, senior officials of the state apparatus and the security forces. However, subsequently, judicial and extrajudicial persecution spread to tens of thousands of Sunni Arabs from the middle and lower ranks of the army, police, intelligence services, officials of municipalities, etc. Many Sunnis and their families were forced to emigrate, some went underground and fought the occupation and the central authorities with weapons or using terror. Sunni Arabs who officially received positions in the state apparatus and new seats in Parliament mostly abandoned them. Iraqi Vice President Tariq al-Hashimi fled abroad and was sentenced to death in absentia. Sunnis’ protests and demonstrations were dispersed by the police and the military. Uprisings were suppressed with the help of the US occupation forces, the most prominent of those was suppressed with heavy losses on both sides in El-Fallujah in 2004. It was precisely during this period, in the so-called “Sunni Triangle”, when the Islamic State (Daesh) was created on the basis of one of the cells of Al-Qaeda; the country saw a breakout of a major terrorist war. The Sunni terror was returned with terrorist attacks by Shiite “death squads”: the Sunni mosques were bombed and the Sunni activists killed. Despite the fact that the Kurds were not openly persecuted by the central authorities, and even formally received the status of a federal unit in the new Iraqi state, Baghdad nonetheless failed to deliver on most of its obligations to them (article 140 of the constitution on the “disputed territories”, the adoption of a new law on hydrocarbons, supplies for Kurdish brigades “Peshmerga”, etc.). The 17% of the state budget assigned by the federal law for the development of the Kurdish region, was chronically underpaid. During the invasion of Daesh combatants from Syria, the Iraqi regular army hastily put together by American instructors fled, abandoning modern types of heavy weapons and military equipment on the battlefields and in warehouses. Kurdish militias had to defend their areas of compact residence in the unequal battles on their own, only relying on air support from Air Force of the international coalition led by the United States. Thus, the Kurds’ hopes for a government in Baghdad that would treat them fairly and for peaceful coexistence with the Sunni Arabs and Shia Arabs were not justified. Amidst the actual breakdown of the country into warring enclaves and the ongoing Shiite-Sunni civil war, President of Iraqi Kurdistan Massoud Barzani was compelled to initiate a regional referendum on the independence of the Iraqi Kurds. It is expected that it may take place before the end of 2016. It should be noted that the country has not yet recovered from the effects of the previous war in 2003. Ineffective economic policies of the Maliki and Abadi governments and the high level of corruption in the upper echelons of power have left a significant part of the population of one of the richest countries in the world in terms of oil export revenues below the poverty line. Interruptions in the electricity and drinking water supplies, the severe shortage of housing, schools, hospitals – all this has become a typical phenomenon for Iraq. The fall in world oil prices and the creation of the Islamic caliphate on a third of the Iraqi territory exacerbated existing financial and economic difficulties. Long due government and economic reforms, and the recovery of the regular army anticipated by the Iraqi people have been unduly delayed. The possibility of liberation of the strategically important Mosul from Daesh militants remains in doubt. The recent clashes in northern Iraq between the Shiite militia troops and Kurdish “Peshmerga” demonstrated a lack of a united front against Daesh in the country. In these circumstances, even the main partners of the Baghdad regime in Washington and Tehran are in no hurry to invest in its salvation. Representatives of the US administration openly say that the precondition for emergency financial and military aid to Baghdad is its ability to build relationships with its Arab-Sunni minority and to form an effective coalition government. In the continuing crisis phenomena and the paralysis of the central government, protests have started growing even among Shiite Arabs. Reuters reported that, on April 30, 2016 hundreds of supporters of the influential Shiite religious leader Muqtada al-Sadr broke into the heavily guarded government “green zone” in Baghdad and entered the parliament building. They demanded an immediate change of government and the dissolution of parliament. M. al-Sadr offered his candidates for key positions in the new government. To leave the authorities in no doubt about the seriousness of the opposition’s intentions, the radical Shiite leaders have mobilized over 200 thousand of their supporters in the seven provinces of the country and brought them to the capital. The government crisis in Iraq was accompanied by a new series of attacks in Baghdad, the responsibility for which was claimed by Daesh. Thus, the post-Saddam period has proven no less dramatic and bloody in the political life of Iraq, than the previous period under the rule of the Baathist regime. Experts have a reason to believe that even if Daesh militants are ousted from the country, the resistance of the population of Sunni provinces to the central government will, in all likelihood, continue. Baghdad is unlikely to succeed in restoring loyalty of the Sunni provinces using force. The divide in the Arab-Shiite bloc could also grow. And the leaders of the Iraqi Kurds, having held a regional referendum and having gained the support of their people, are now able to begin to implement the people’s will. The result of such a referendum is quite predictable, since the vast majority of the Kurds vouch in favor of self-determination in the form of an independent state at the level of the age-old dream and the national idea.